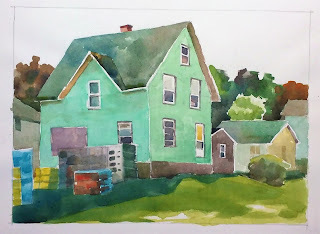 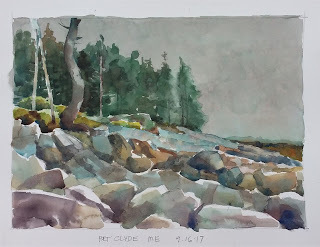 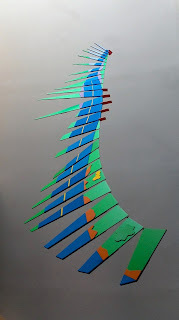 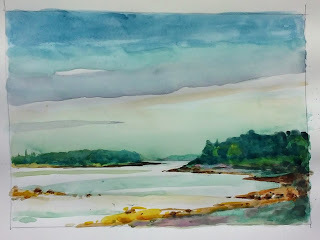 Watercolors painted plein air in Rockland Maine vicinity. 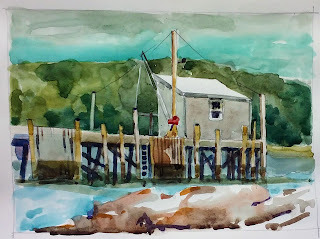 Lobster Pier at Owls Head harbor. The Green House in Rockland. Foggy day on rocky beach at Port Clyde.